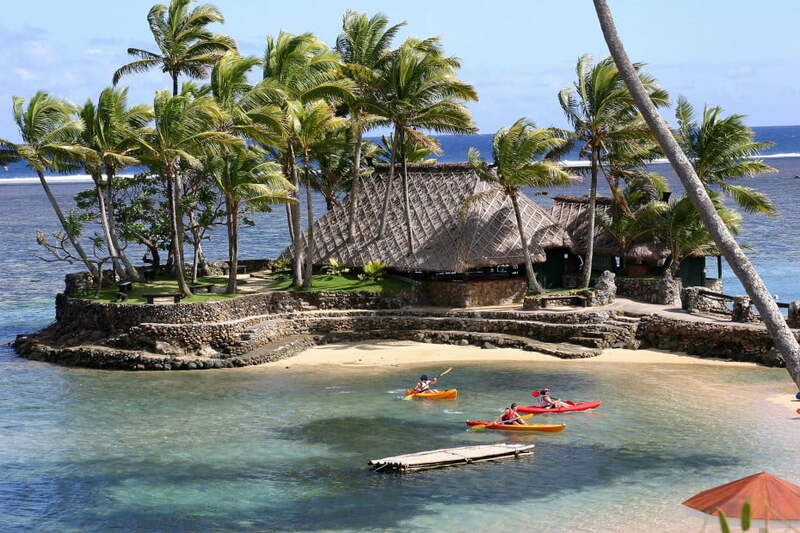 Pleasantly warm, all year round, Fiji’s tropical climate is divided into wet and dry seasons. Most visitors prefer the dry season (April to September). The Christmas/New Year break and school holiday periods see a surge in travellers, so you might prefer to avoid these times. Food and groceries can summarised under two categories – local and imported. Most imported goods will be at least three times what you would pay at home. However fresh produce from local stalls or markets can be very cheap. If your hotel has not arranged a transfer from Nadi Airport, you can find reputable private transfers to Denarau from FJD $44 one way. Up-to-date vaccinations against typhoid, tetanus and hepatitis A and B are a good idea. If you’re travelling outside the main resort areas, mosquito nets and repellents are recommended, as there is no vaccine against dengue fever. The Zika virus has been reported in Fiji, so pregnant women should seek up-to-date advice on their travel. New Zealand citizens can enter Fiji without needing to apply for a visa. A stay of up to four months is permitted.